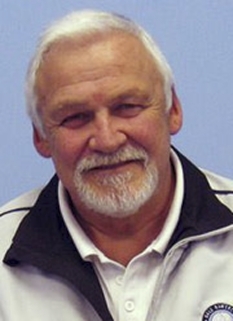 Hockey great, Bernie Parent, was born on April 3, 1945, in Montreal, Quebec. 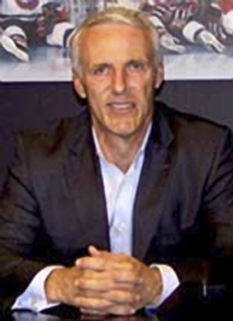 Bernie Parent is a retired Canadian pro ice hockey goaltender. Bernie Parent played for the Niagara Falls Flyers of the OHA Junior A league. 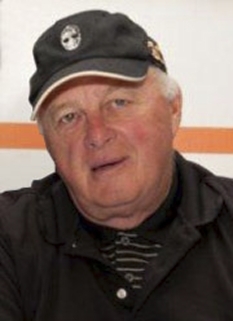 A two-time winner of the Dave Pinkney trophy (lowest goals against average or GAA), he wrapped up his junior career by backstopping the team to the OHA championship and the Memorial Cup championship in 1965. 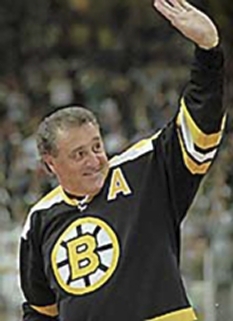 Parent began his career with the struggling Boston Bruins in the 1965-66 season, appearing in 39 games. 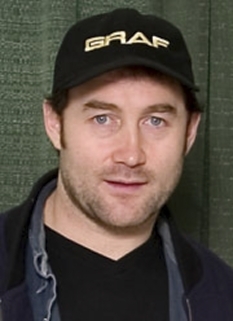 The following season was split between Boston and the Bruins farm club in Oklahoma. Left unprotected for the 1967 NHL Expansion Draft, Parent was chosen by the Philadelphia Flyers where he and Doug Favell, another former Bruin prospect, split the netminding duties for the Flyers' first season. Parent recorded a solid 2.48 GAA with 4 shutouts in helping the Flyers finish first in the NHL’s West Division. Over the next two seasons, with Favell performing inconsistently or injured, Parent became the Flyers #1 goalie and appeared in 58 and 62 games for the offensively weak Flyers. Looking for help up front to improve the club’s offence, the Flyers dealt Parent to the Toronto Maple Leafs in January, 1971. The move proved to be beneficial to Parent, as he joined his boyhood hero, Jacques Plante, who at 42 was having an all-star season. Plante was a wealth of knowledge and experience, a true student of the game. Under his tutelage, Parent became a more consistent and technically proficient goalie. Parent played well for the Leafs through the 1971-72 season, gaining valuable regular season and playoff experience as the team’s workhorse goalie facing the top teams and shooters in the league. Without a contract with the Leafs in the summer of 1972, Bernie Parent signed a large contract with the Miami Screaming Eagles of the newly forming World Hockey Association. He was the first player to ‘jump’ to the WHA. The Miami franchise fizzled and became the Philadelphia Blazers. Parent faced a barrage of shots in 63 regular season games for the Blazers in the defensively weak league. 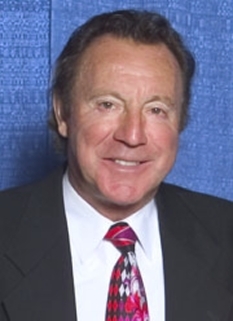 After leaving the team over a contract dispute during the 1973 WHA playoffs, he sought a return to the NHL but did not wish to return to the Leafs. Toronto traded Parent’s NHL rights back to the Flyers for Doug Favell and a first round pick in that summer’s (1973) amateur draft. The next two seasons were the greatest of his career. Playing 73 games in a 78 game schedule, Parent sparkled in leading the league with a 1.89 GAA and 12 shutouts. He shared the Vezina Trophy with Chicago’s Tony Esposito and was named a first team all-star in leading the Flyers to a first place finish in the West Division. He finished the year in fine style, taking the Conn Smythe Trophy (playoff MVP) while leading the Flyers to the first of two Stanley Cup Championships. The following year was much of the same, adding another Vezina Trophy to a second Conn Smythe Trophy and Stanley Cup. “Only Jesus saves more than Bernie Parent” became a catch-phrase and bumper sticker in the city of brotherly love in those years. Following the championship seasons, Parent was sidelined by injury and appeared in only 11 games in 1975-76. Over the next three seasons, he played well overall but experienced difficulties at times. Jacques Plante, although in retirement, continued to have a strong influence on Parent's career. Parent, like Plante, was always a stand-up type goalie. At one point Parent was playing poorly and considering retirement. Plante watched him practice in Philadelphia for two days, then told Parent exactly what he was doing wrong - sitting back on his heels, backing into his crease and losing concentration. Parent heeded Plante's advice and rebounded to form. In February,1979, Parent's career was cut short by a career ending eye injury in a game against the New York Rangers. An errant stick entered the right eye hole of his mask causing permanent damage to his vision. This incident led many NHL goalies to move away from the fibreglass facemask toward the cage and helmet style widely used today. Bernie Parent admitted he had considerable fear of playing goal in the NHL, and that fear helped him play better. On game nights, he never appeared without his mask on, even going to and from the dressing room. He also had a strict pre-game ritual. He sat alone under a miniature Stanley Cup and thought about the opposing players he would face, then slept for eight hours, had a steak for lunch and then slept again. After Bernie Parent's retirement, the Flyers retired his jersey number in his honor. 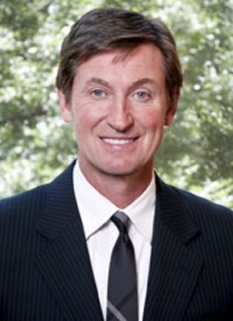 Parent was inducted into the Hockey Hall of Fame in 1984. 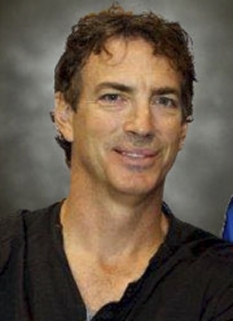 In 1998, he was ranked number 63 on The Hockey News' list of the 100 Greatest Hockey Players. DISCLAIMER: PFP Sports Talent Agency does not claim to represent itself as the exclusive agent for Bernie Parent. PFP Sports Talent Agency is a booking agency that represents organizations seeking to hire pro athletes and sports personalities such as Bernie Parent for speaking engagements, personal appearances, product endorsements and corporate entertainment. Fees on this website are estimates and are intended only as a guideline. Exact fees are determined by a number of factors, including the location of event, the talent’s schedule, requested duties and supply and demand. PFP Sports Talent Agency makes no guarantees to the accuracy of information found on this website and does not warrant that any information or representations contained on this website will be accurate or free from errors. We are often asked how can I find out who is Bernie Parent's agent? To find Bernie Parent appearance fees and booking agent details, you can contact the agent, representative or manager through PFP Sports Talent Agency for speaking fee costs and availability. PFP Sports Talent Agency can help your company choose the ideal sports personality for your next marketing campaign. 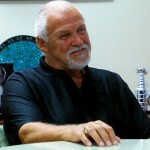 To hire Bernie Parent for an appearance, speaking event or endorsement, contact Bernie Parent's booking agent for more information.